4 Beds 2 Baths 2,570 Sq. ft. Welcome home to this diamond in the rough! Owner has European flare which you will see all throughout this well maintained move-in ready home! The striking foyer leads you to formal dining area while there is a separate home office w/French doors, keep on following to the huge kitchen w/food prep island & endless Corian counter tops, Electrolux stainless steel appliances, premium sink, 42'' cabinets & crown molding w/large bar top opened to breakfast nook & family room w/fireplace. With lots of windows in this house, there is no shortage of light! Spend recreational time in the large FL room or out back in one of the covered areas - won't take long to do yard maintenance at this house! Zeroscaped w/palms & perennial flowers along w/concrete pavers & vinyl privacy fence. Covered patio,, Pergola and Cabana w/outdoor kitchen space create the ultimate entertaining yard, there is a place for everyone to relax and enjoy! The master bedroom has spacious walk-in closet & en suite bath w/sep tub, double vanities & walk-in shower. 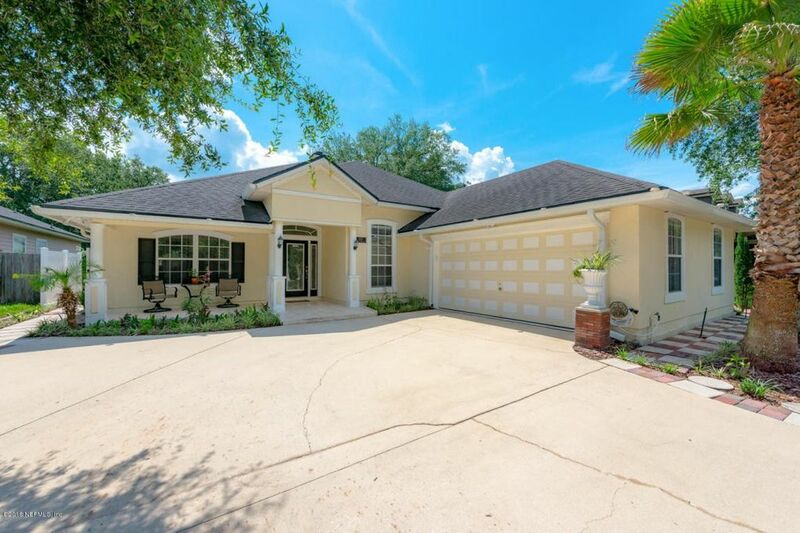 Some additional feautures of this home - Lots of beautiful tile & bamboo wood flooring throughout; sprinkler system, termite bond, home service warranty, sec sys, front porch, courtyard entry garage w/tiled floors; extra storage; indoor laundry room; gutters; upgraded front door & sidelights. The house is located on a cul de sac street & centrally located to NAS Jax, JIA, downtown, shopping, retail, dining and I-295. Directions: From Argyle Forest Blvd Head South On Oakleaf Village Parkway, T/R On Silver Bluff Blvd, T/R On Thoroughbred Dr, T/L On Laurel Leaf Dr, Follow Almost To End, House On The Left.